Select from fair pricing options such as fixed and bulk rates. With our metered service, you can receive monthly billing for only the amount of propane you use. NO surprises, hidden fees, delivery fees, or fuel surcharges. Take advantage of scheduled auto delivery service and never worry about running out of propane. Enroll in budget billing to help plan your monthly expenses. Pay bills easily using our online and mobile-friendly SmartHub application. Schedule an energy audit to assess the energy needs and efficiency of your home or business (with a rebate of up to $50).  Enjoy the benefits of being a member of The Energy Cooperative, not just a customer. For every new member you refer to our propane service you can earn a $50 credit to your energy bill from The Energy Cooperative. There’s no limit to the amount of savings you can create! Referral must be from a current member of The Energy Cooperative. New member must be approved and service established before credit is awarded. The referring member must be listed on the new member application to receive credit. Only the member who made the referral receives the $50 credit. Please submit your reading by the 12th of each month. Please notify us the next business day at 800-255-6815 when you have 20% or less in the tank.